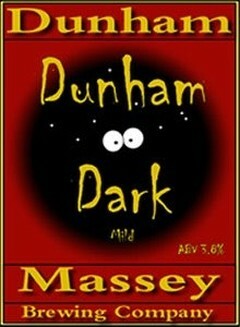 Multi-award winning traditional North Western dark mild. Smooth and easy drinking. UPDATED: DEC 18, 2018 [email protected], London, with the Malmö crew - dark brown pour with off-white head. Toasted and sweet malty with notes of cocoa, some nutty accents, fruit cake, caramel, medium body, dark malty close. Cask at GBBF '18, day 1, 07/08/18. Light black with little in the way of a head. Nose is dried fruits, spice, brown bread, dusty earthy backnotes in the aroma. Taste comprise light charr, leather, stewed fruits, brown bread. Medium bodied, soft carbonation, semi drying close. Ok mild. Cask at the GBBF 2018 day 1 07/08/2018. A Cleer mahogany brown coloured pour with no head. Aroma is brown sugars, charred malts, wood, hint of smoke. Flavour is composed of light tangy apple, woody cakey malts.. Palslte is semi sweet light tangy, decent. Ok.
GBBF Day 1. Cask. Opaque dark reddish brown beer, no head. Smooth palate, very mild carbonation. Sort tangy dark malts, littoe cocoa. Soft tangy dark fruits. Smooth finish. Fine but a beer like many others. Cask at GBBF. It pours deep / dark brown with a tiny beige head. The aroma is sweet, oily, burnt toast, umami, liquorice, earthy, slick and ashy. The taste is dry, bitter, earthy, chewy, wet wood, bark, umami, liquorice, toasted sesame sweet and pepper with a drying finish. Medium body and fine carbonation. Run off the milk. Mild, bit it's OK.
Cask (gravity) @ 31th Pigs Ear Beer and Cider Festival 2014, at The Round Chapel in Hackney, London, England. [ As Dunham Massey Dark ]. Cask (gravity) @ 29th Pigs Ear Beer and Cider Festival 2012, at The Round Chapel in Hackney, London, England. Bottled. Deep ambery brown colour with some ruby notes too. The head is mediumsized and off-white, leaving some lace. Aroma is chocolate, mild toasted malts, some ripe fruits and mild resiny notes. Flavour is chocolate, some sweet dark malts, mild toasted notes as well as ripe fruits and some berries. Highly drinkable mild.